Listen to an extract by clicking on the link below. Details of how to buy a copy are further down the page. 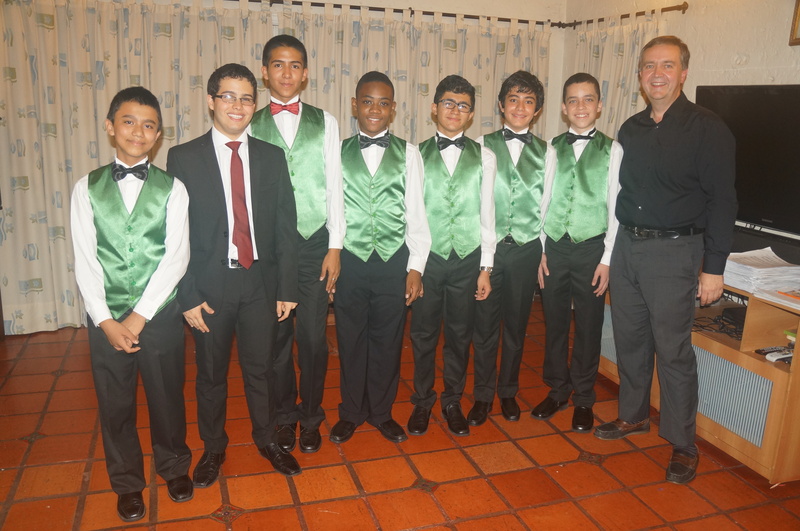 Funvini’s choir was formed in 2006 and almost immediately it gained first place in a national competition and later sang at various events in Medellín and Peréira. 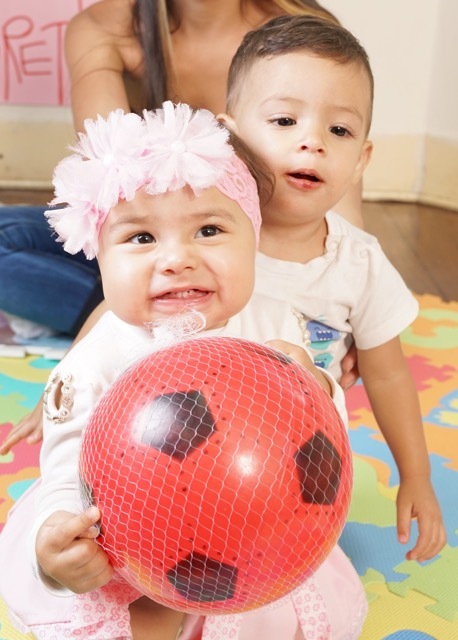 Music has considerable therapeutic benefits for these children and it is delightful to hear the sound of their singing echoing around Casa Walsingham, or to see two children working at some task or playing a game and singing away at the same time. It is an important antidote to the harshness and violence of life in the shanty-towns where they live and is helping Funvini to offer them a different perspective on life. 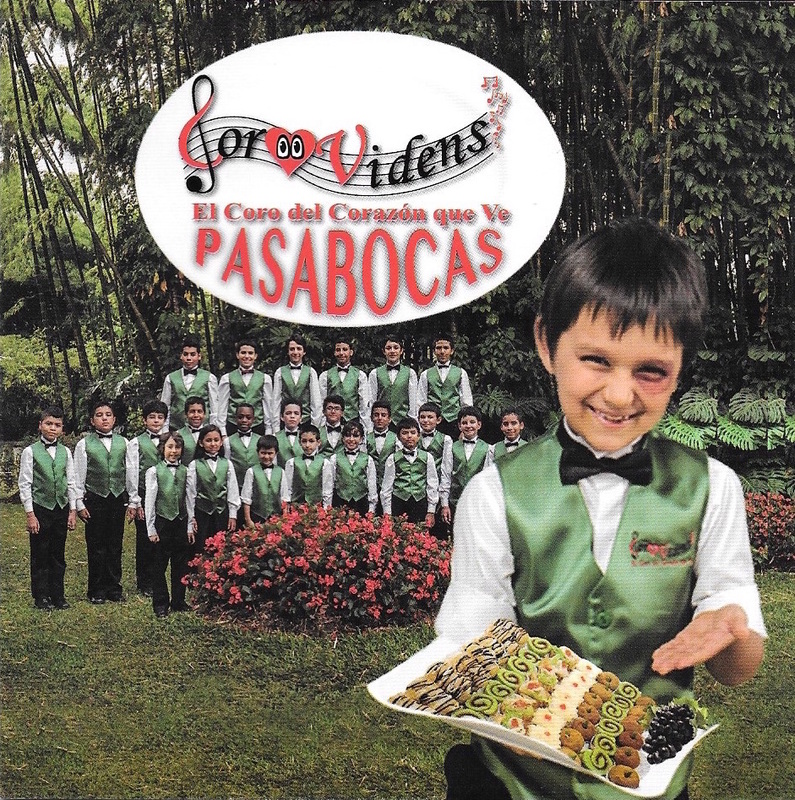 It also helps the charity to make itself known, in an effort to encourage the Colombians to support our work. It gives the children a voice. In August 2010 three of the boys from the choir were chosen to take part in a professional production of ‘The Magic Flute’ and they acquitted themselves excellently. In December 2017 Fr Peter and 4 of the choristers were invited to visit the Cathedral of Our Lady of Walsingham in Houston, Texas and their week-long visit proved to be very successful. Click on the link to hear our Cambiata Group sing Barbershop–My Evaline– at a Concert in Medellín. 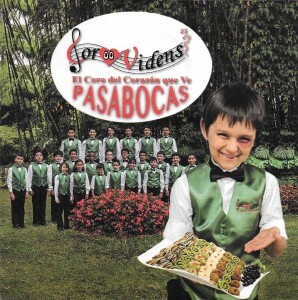 In December 2011 the choir, now known as COR VIDENS ( The Seeing Heart ) released their first CD–‘Eternal Spring’, and they have now, in December 2015, released their second –Pasabocas. Both are available from the charity by Mail Order, for £7.50 plus P&P £2.00, or from the Charity’s shop in Walsingham for just £7.50. For Mail Order ring 01302 858369. Below is an excerpt of the choir in concert in its early days. Click on the link to hear it. 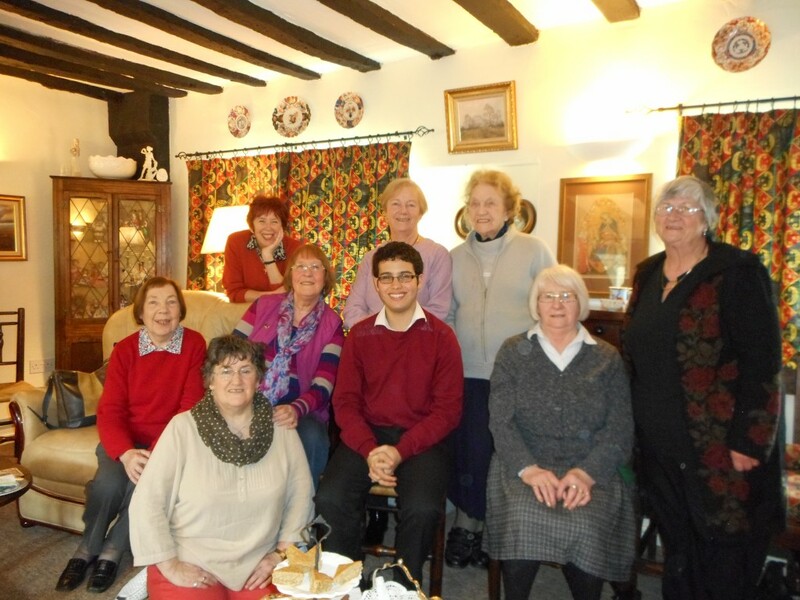 In January 2015 17-year-old Sebastián Palacio, the choir’s then Head Choirboy, came to the UK for a 6-month visit at the invitation of the Dean and Choir of Worcester Cathedral. He sang in 7 different choirs and performed in many concerts, in addition to singing to various of our supporters around the country. His time in the UK was very profitable and fruitful, and he proved to be an excellent ambassador for the charity. He is now back in Colombia at university in Medellín, studying to become a Musical Director. He sings in a professional choir at his university and he assists with the training of Cor Videns. 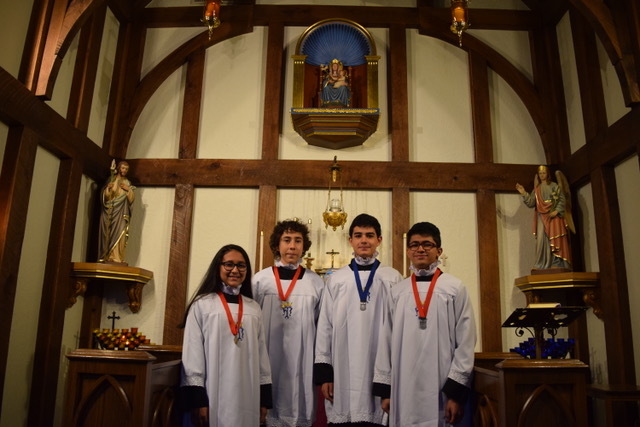 In December 2017 four of Cor Videns’ choristers sang for a televised Mass. Above is an excerpt from it and there are six further excerpts to follow. It is Father Peter’s dream that one day he will be able to bring the choir to the UK to sing at different locations around the country and so give the street-children a voice. He also hopes that it may eventually be possible for this programme to be extended to include dance and drama.